In this file photo, a girl is shown removing her contact lens. New research shows that when people dispose of their used contact lenses by washing them down the drain or flushing them in the toilet, they can resurface as microplastics in the food supply. Arizona State University scientists have dug into the enormous industry behind contact lenses, and how we dispose of them, to learn more about microplastic pollution in our waterways. Scientists released the findings of a report about lenses and plastic during the 56th National Meeting & Exposition of the American Chemical Society in Boston, Mass. this past weekend. Philadelphia is one of the 'top mosquito cities' in U.S. The report stated that more than 45 million Americans alone rely on disposable contacts, making it a $2.7 billion industry, and that 15 to 20 percent of those lenses are being flushed down the sink or toilet. That's between 1.8 and 3.36 billion flushed contacts per year, or about 23 metric tons of plastics in our waterways annually, scientists reported. Lenses are often sorted into waste-water treatment plants and fragmented into microplastics, which accumulate in sewage sludge, scientists say. For about every two pounds of wastewater sludge, a pair of contact lenses typically can be found. "Aquatic organisms are known to mistake microplastics for food, introducing the indigestible plastics into long food chains," a release says. "Some microplastics eventually can find their way into the human food supply, causing inadvertent uptake and unwanted human exposures to both the plastic polymer and a spectrum of environmental contaminants that tend to stick to the surface of plastics." Lenses also sink, so when they are released into waterways they could pose a threat to bottom-dwelling aquatic life. The effect of contact lenses has gone undetected until now because the plastics used in them, unusual fibers that create a soft material while also allowing oxygen to pass through the lens to the eye, are not routinely monitored by environmental experts. Plus, they're extremely hard to detect. Another challenge of the study was finding how these lenses disintegrate, and why they end up as microplastics. They concluded that microbes in wastewater-treatment facilities were actually altering the surface of the contact lenses, which weakened bonds in the plastic and disintegrated them into microplastics, the report says. The team estimated that anywhere from six to 10 metric tons of plastic lenses end up in wastewater in the U.S. alone each year. 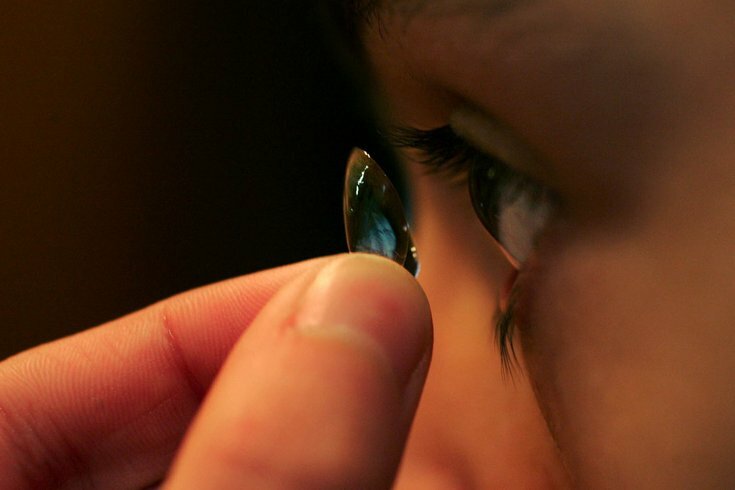 Currently, the industry does not make note of how consumers can responsibly dispose of used lenses. “A simple first step would be for manufacturers to provide on product packaging, information on how to properly dispose of contact lenses, which is simply by placing them in the trash with other solid waste," said Rolf Halden, director of the Biodesign Institute’s Center for Environmental Health Engineering at ASU.